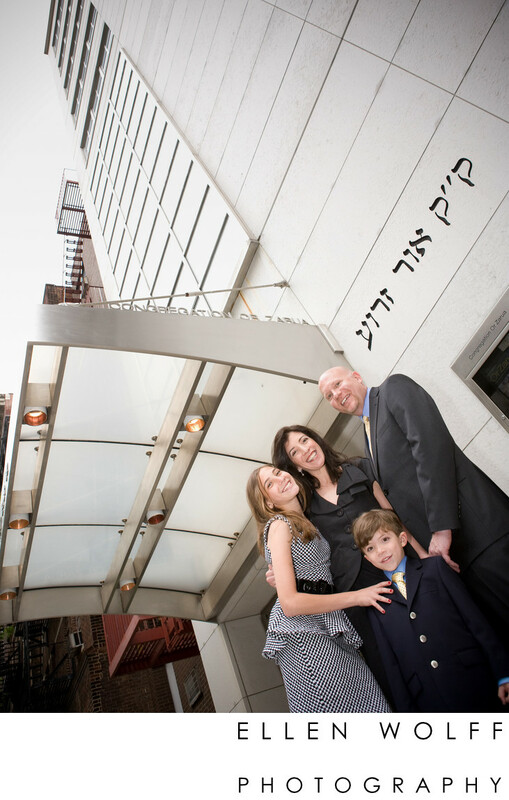 This Manhattan family strikes a pose for me in front of their Temple, Congregation Or Zarua on the Upper East Side of Manhattan. Since New York City is largely vertical I chose to crouch down low and frame them in a way that shows the sleek architecture of this modern building. I love the warmth that resulted in the family squeezing together for me the way they did. Location: 127 E 82nd St, New York, NY 10028. Keywords: Bat Mitzvah (96), Congregation Or Zarua (3), Portrait (39).